Kritika Online has been released in Japan and South Korea several years ago. Asiasoft launched a Thai version for Thailand players last week. A notice on Kritika Online's websites for other Southeast Asia countries shows "Kritika Online Coming Soon". It seems like the Kritika Online English server for Singapore and Malaysia players will be lauched soon. 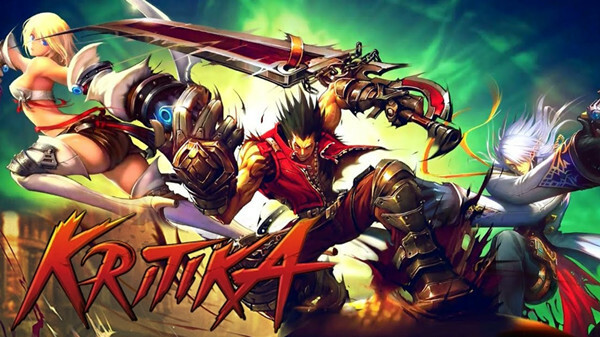 Kritika is an action MMORPG featuring 10-min short instances and a combat mode taking attack as a means of defense. Kritika is designed with cartoon style graphics and its quest mode is typically found in other action MMORPGs. It allows you to go absolutely crazy fighting. Let's say Dragon Nest and Vindictus with the modesty turned off. If I ever feel stressed I pop this on, and stress goes away. It is available on iOS and Android devices all over the world, but the PC MMO Kritika Online is still restricted to Asian territories. If you want to further experience the spectacular high definition sounds and sights in 3D, you may player it PC version. Its English server will be coming soon, go to find an Asian VPN which contains more Asian servers and offers fast and stable connection. I would like to recommend FlyVPN, a VPN provider offers lots of Asia VPN servers. It also provides free Singapore and Malaysia VPN server. Setup a VPN Client, you can download from FlyVPN's download page. They have VPN Client for Mac, Android, iOS and Windows, please choose the right Client. Login with username "vpnu", and enter the newest password. Choose your native language as the interface, then click login button. After lead to the server list window, choose Asia and click Singapore server.